The acquisition of social competence, such as showing prosocial behaviour (fulfilling others’ needs) and social initiative (fulfilling own needs), constitutes one major developmental task in childhood and adolescence. Previous research suggests that in middle childhood, impaired social competences are related to childhood psychopathology, such as externalizing and internalizing disorders. As the period of preschool age is a particularly important time for both the development of social competence and early psychopathological symptoms, we conducted a systematic review to investigate the role of social competence in relation to early childhood psychopathology. Twenty-one clinical as well as subclinical studies published prior to September 2016 were included in a qualitative analysis of the relation between prosocial behaviour, social initiative, and early externalizing and internalizing symptoms in preschool age children (age 3–6). Effect sizes for each study were calculated if required information was available. 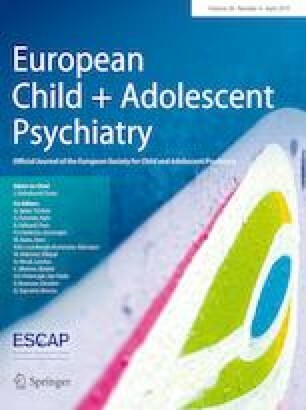 Our review suggests that from early on in childhood development, externalizing symptoms are accompanied by prosocial behaviour deficits such as lower levels of helping or cooperating, whereas internalizing symptoms may be accompanied by either deficient or excessive levels of prosocial behaviour. Exhibiting social initiative such as initiating contact with others or communicating one’s own needs seems to be impaired in children with internalizing symptoms. Implications for current theory and future research are discussed. On behalf of all authors, the corresponding author states that there is no conflict of interest. This research project was funded by a stipend of the Friedrich-Ebert-Foundation, granted to the first author.